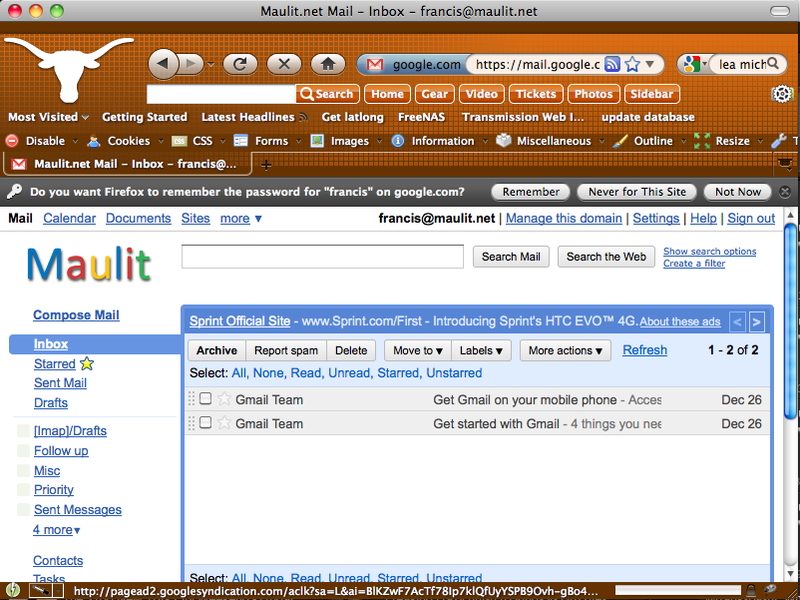 I set up some of the family with e-mail addresses on the @maulit.net domain. Google couldn’t make it any easier. 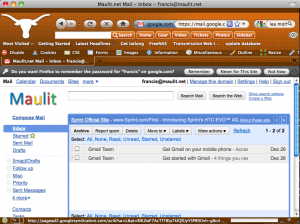 Plus you have the full functionality of Gmail… most importantly… IMAP! It’s Friday and I said I’d be posting some music every week. Well I’ve been slacking. I had to throw in another song from El Paso radio circa 1994. Did they play this stuff in any other city? !